Mahatma Education Society's Pillai HOC Educational Campus has organized a Mini Marathon at Pen on 16th December, 2018 to emphasise the need on Clean and healthy life trough Swachh practises. 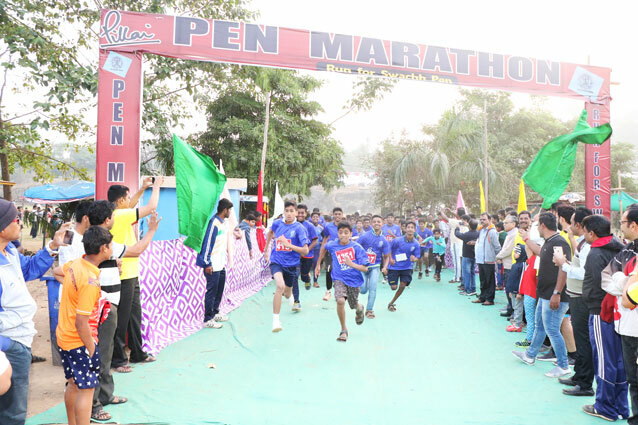 The slogan of the run was "Run for Swachh Pen". A massive crowed from 12 year old to 70 year old in thousand participated in the run with much enthusiasm. 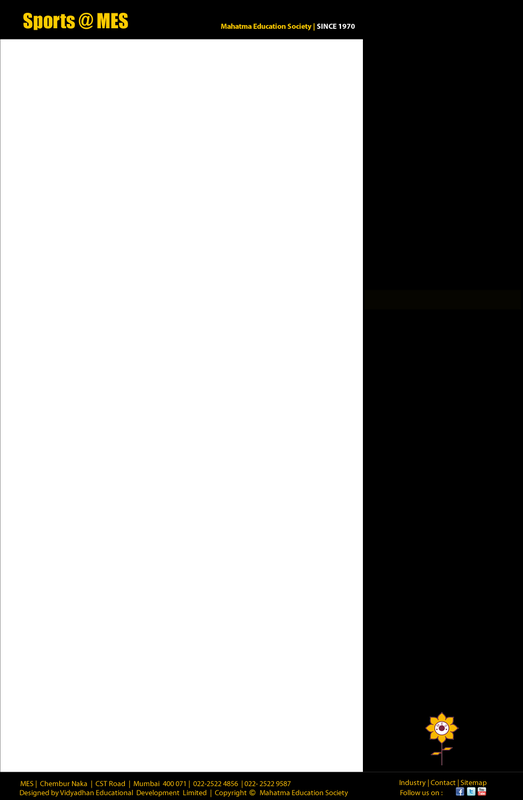 The Mini-thon conducted in as many 10 categories of 5 km, 7 km and 10 km. 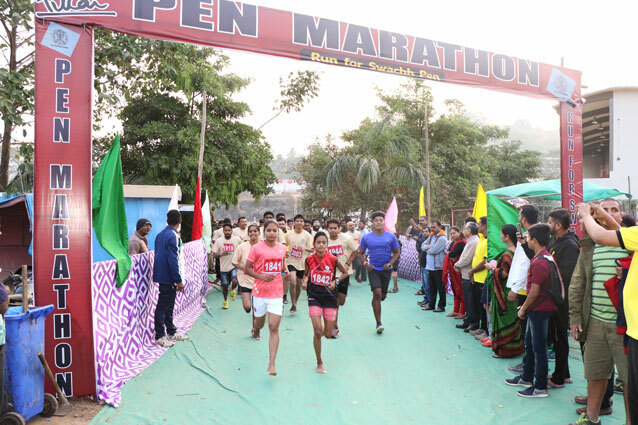 It was the 5th consecutive yearly marathon happening at Pen the entrance of Konkan. This time Pen Municipal council joint with Pillai HOC Educational Campus to organize it with much success. Cash prizes, certificates, medals and trophies awarded to the winners of all the categories by Mahatma Education Society & Pen Municipal council. The race starts from Pen Municipal Stadium and went towards Khopoli by pass and return to the stadium after passed through various token points. Pen Municipal council chairperson Mrs. Lalith Pritam Patil gave away the prizes in the presence renowned personalities and sports persons of Raigad district. Earlier in the morning 7:30 hrs Mr. Anirudh Patil (The leader of Pen Municipal Council Flagged-off the race in the presence of Deputy CEO Mahatma Education Society, Mrs. Dr. Lata Menon. Chief Eecutive Officer, Pen, Director of Sports Mr. Padmakshan Padmanabhan. The response from the people as a whole is tremendous and encouraging as year by year it keeps the record of most participating Min Marathon with around Five thousand people participated in the run and it was beyond our expectation- Said Padmakshan Padmanabhan, Director of Sports and Organizing Chairman of the event. The winners of various category of run were given trophies and cash prizes worth one Lac rupees.